I'm Kayla, welcome to my website! I've been in the Real Estate world for just over three years, have been learning lots! I've developed a passion with First Time Home Buyers. I love being able to answer any and every question regarding the process. 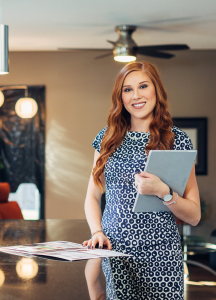 Buying a House might be one of the biggest purchases you make in your life, and I want to be able to make sure each of my clients feels confident about it. I currently live in Sherwood Park, work in and around Edmonton, my Office is located in St.Albert. I'm married to a great guy and I have a miniature Dachshund, always waiting to greet me when I get home! If you or someone you know are interested in Buying a Home I would love to sit down and explain the process!